I will have to begin this chapter by mentioning my mother. I have never been a mum myself so I have no idea about maternal affection or responsibilities. However, I am pretty certain that motherhood is the greatest yet hardest job anyone can have. Without my mum I don’t think I will be writing this blog right now. April 2012 was when I found out about TMD and I told my mum about it. Fortunately, she did not doubt it once and said to me “From looking at the symptoms I think you are right, you just need to find the right treatment”. However, I thought she was just saying it to comfort me and trying to not cause an argument as she was busy with work. So I never mentioned it again and carried out research on my own and found that there are various self treatments such as facial massage, stretching exercise to relieve muscle tension and meditation to reduce stress and anxiety. I also went for sports massage therapy some weekends which I found more helpful than physios. Whilst they were helpful, I had to repeat them everyday but working full time and studying at the same time, I was becoming worn out. I was fixated on the idea that I could get better by trying self therapies but as time went by I became more depressed by the fact that I could not resolve it myself. I guess I only have myself to blame for my own arrogance but it was also due to the fact that I did not want to go through a battle with the NHS which I was almost certain would make me depressed even more. My mother became more concerned that I was becoming more obsessed on trying different therapies. I finally gave in and went to the GP in March 2013, with a long list of TMD symptoms that I was experiencing. He did not seem to be very familiar with the condition and told me to come back a week after so he can give me a clearer answer. A week later, I went back to the GP who completely ruled out TMD as a cause and instead he suspected that I had arthritis… The undesirable yet expected result made me so angry but I had to restrict myself from shouting at him because I knew whatever I could have said was not going to be heard as he was the doctor and I was just an ordinary person with limited medical knowledge. I immediately sensed that arguing would not resolve anything and left. Two days later, I had to resort to going to a private dentist (which was costly) and finally, I was diagnosed with TMD. After the consultation I decided to go ahead with treatment using a dental splint. At this point, I took a further 3 months off work because the pain was unbearable and I was mentally unstable. The splint which was initially meant to take a week to fabricate, took 3 weeks. It felt more like 3 years as patience was running out and I wondered why luck was never on my side. Anyway, at last, I was given a device that could relieve pain that had tortured me for so long but I was warned that is not effective on all people. I was told that I could use it for up to a year and was recommended to wear it at night but also during the day if I wished. The first few weeks of wearing the splint I certainly did notice slight improvements – less headache, neck and shoulder pains and improved digestion. I was so excited that I was going to be “normal” and that it was just a matter of time before the splint was going to sort me out. During the 3 months leave, my mum tried to convince me not to just rely on the dental splints but to try medical practices that specialise in treating TMD. To my surprise, she had done her own research since I had told her the year before and gave me a list of practices she found and thought may be worth trying. She pointed out Dr Youngjun Lee’s clinic in South Korea and said it has the most testimonials as well as video cases so she suggested getting treatment there. I had also come across it whilst doing my own research. However, I trusted that the dental splint was going to fix my jaw and decided to concentrate on my exams I was sitting in July. I did not think much of it at the time but a few more weeks later, the splint broke in half and I had to get it repaired. Whilst enjoying freedom from some of the symptoms I also started feeling unfamiliar sensations – sudden spasms in my limbs. They were not painful nor were they serious at first so I ignored them and took it as signs of getting better. I then took my sister, who had very similar symptoms as me and was still making routinely visits to the GP, to the same dentists from where she was also given a dental splint. At the same time however, the frequency and severity of spasms (these spasms were just sensations rather than visible movements) were increasing and more strange things cropped up. As time went by, I started experiencing vertigo (similar to dizziness but more severe), vomiting and blurred vision. Often, walking was difficult because it felt like the floor was moving around and lack of productivity at work was making me feel down even more. The life I was living was completely different to what I had imagined a few months back. By September 2013, the strange muscle movements reached the jaw area and became permanent. It was then that I finally realised there was something seriously wrong. All of a sudden, I was getting panic attacks, hypertension and sometimes difficulty breathing. Anxiety, together with depression had reached an intolerable level. It was really difficult to explain to other people that I had strange movements of the muscles because it was not visible to other people. 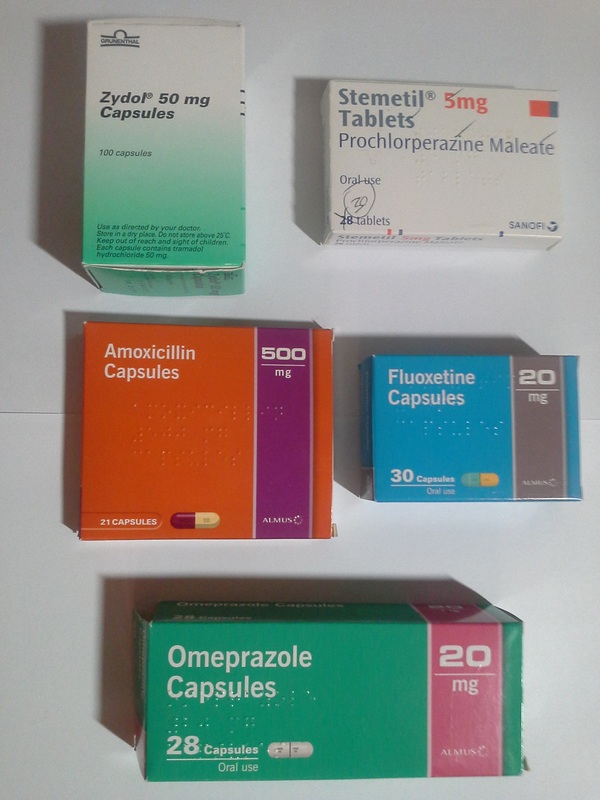 I still went to the GP again but all I could receive was yet more prescriptions for painkillers and antidepressants with advice to rest at home. At one point, my mother called the accident and emergency unit crying after seeing me go through a panic attack which almost led me to faint. She told them about diagnosis of TMD and that she suspects current symptoms are linked. As predicted, they ruled it out and said it only affects the jaw joints so it has nothing to do with what I was going through. However, they still kindly took me to the hospital because the condition was quite serious. Lying on the hospital bed, I waited a few hours to see the doctor during which the panic attack and muscle spasms seemed to have died down a little. When the doctor saw me, she said the symptoms appear stress related and gave me more painkillers. I timidly mentioned TMD and although she was sceptic, she advised me to see a specialist before discharging me. I was so lost because I had already been to a specialist and things had just turned out worse. By this time, I was sick of painkillers and just wanted someone to tell me what went wrong. As the clock ticked away, it felt like I was falling into a great black hole of death. It is a feeling that only sufferers could possibly understand the extent of.